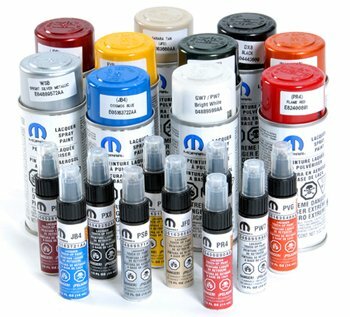 JEEP WRANGLER HARD TOP TOUCH-UP PAINT You are buying ONE genuine Mopar BLACK touch up paint bottle. This one is for Jeep Wrangler's that came equipped with a BLACK hard top. It contains 1/2 fluid ounces with a neat little brush applicator to make touch-up a snap. Great for touching up little scrapes, or chips, etc.